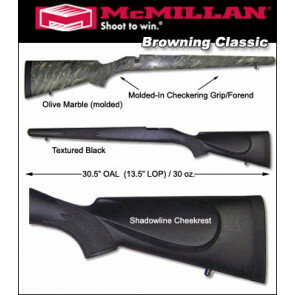 The Browning Classic is an Americanized European design with a straight comb and a cheekpiece with a shadow line. The stock has a small amount of cast off as well as cant, which allows the shooter to get behind the scope more easily. 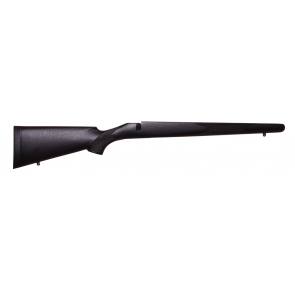 The forend will accept up to a #5 barrel contour.